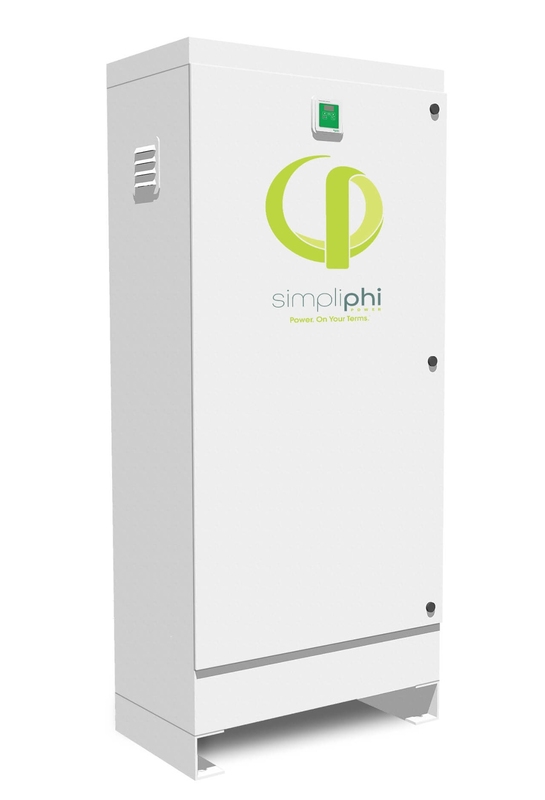 LAS VEGAS, NV --(eSolarEnergyNews)-- Developed in partnership with solar and energy storage installers to optimize equipment and streamline cost calculations, SimpliPhi Power has released a complete plug-and-play Energy Storage System (ESS) that easily integrates power storage into new and existing solar installations both on and off grid. 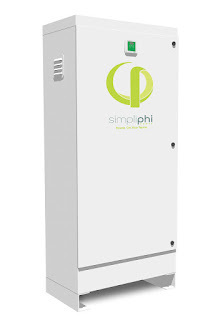 SimpliPhi's fully integrated solution includes the company's award-winning battery technology combined with a Schneider Electric inverter charge controller and associated power electronics and system management in one elegant box. Pre-programmed software settings and system performance monitoring round out the solution. By eliminating any ventilation or active cooling requirements, SimpliPhi's new all-in-one ESS can be safely installed both outside and inside. "Mitigating the impact of power outages, the increase in distributed renewable generation at times of low use, the rising costs of base and peak power and the trend to reduce or eliminate net metering programs is opening up opportunities for solar installers to offer storage as an integral part of their solutions. Many solar installers are not battery experts, yet this expertise is what is required to select equipment to design a system that optimally integrates energy storage. We wanted to offer them an all-in-one-box solution to simplify the prospect of adding storage to meet their customer's needs," said SimpliPhi CEO Catherine Von Burg. "Installers collaborated with us on the design of this new product because they were frustrated by the lack of product readiness, adaptability and scalability, as well as the needless complexity offered by other manufacturers with cooling and thermal regulation requirements. We worked together to combine best-in-class technologies into one plug-in box that can scale without the need of ventilation, cooling or the risk of thermal runaway characteristic of other lithium ion storage technologies."